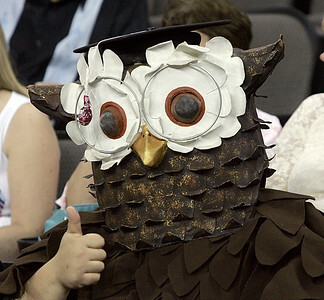 Neil Beach as an owl gives the thumbs up to graduates marching into the Sears arena, May 18, 2013. | Joe Cyganowski-For Shaw Media. Azul Franco takes a moment to soak the day in before the Jacobs High School Commencement exercises at the Sears Center, May 18, 2013. | Joe Cyganowski-For Shaw Media. 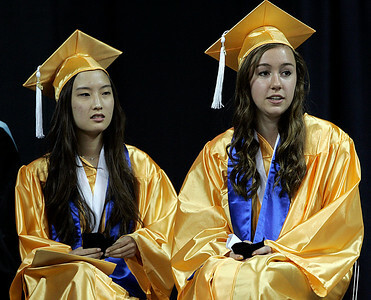 Salutatorian Katie Rim, left and Valedictorian Emily Alessio on stage for the Jacobs High School Commencement Exercise , May 18, 2013. | Joe Cyganowski-For Shaw Media. A graduate holds her diploma while getting a portrait taken, May 18, 2013. | Joe Cyganowski-For Shaw Media. 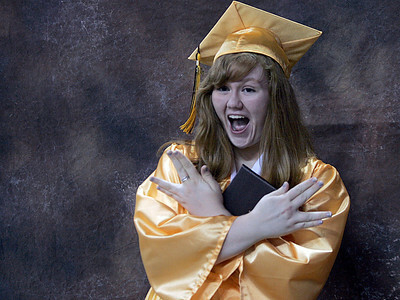 Logan Moring has fun with her official graduation portrait after receiving her diploma , May 18, 2013. | Joe Cyganowski-For Shaw Media. 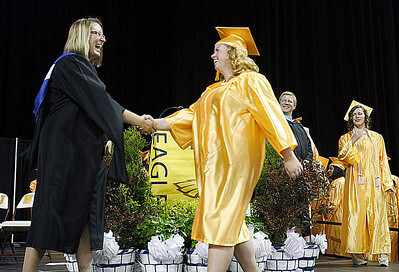 Jacobs High School graduate Haley Anderson receives her diploma, May 18, 2013. | Joe Cyganowski-For Shaw Media. Jacobs High School graduate Lane Wilson receives his diploma, May 18, 2013. | Joe Cyganowski-For Shaw Media. 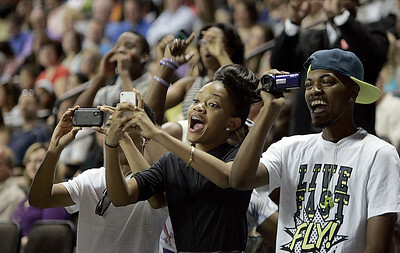 The family Tyjonique Cooper celebrates and records the moment she accepts her diploma , May 18, 2013. | Joe Cyganowski-For Shaw Media. In the tunnel before the ceremony from left Jexenia Bennett, Hannah Braasch and Hannah Beus celebrate their graduation milestone as Jacobs High School graduates it's 2013 class , May 18, 2013. | Joe Cyganowski-For Shaw Media. 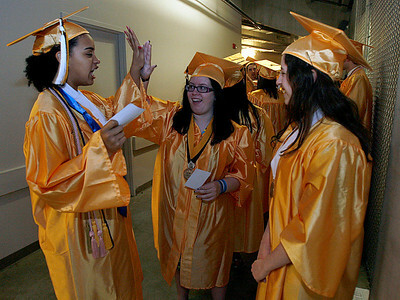 Nancy Arndt prepares the Jacobs High School graduates in the tunnel before the ceremony at the Sears Center, May 18, 2013. | Joe Cyganowski-For Shaw Media. 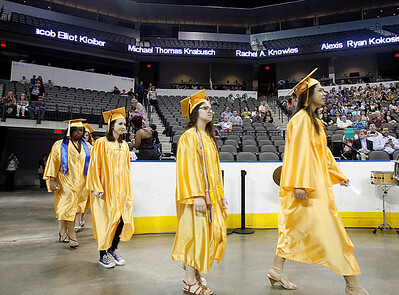 The Jacobs High School Class of 2013 marches into the Sears Center for the commencement exercise, May 18, 2013. | Joe Cyganowski-For Shaw Media. Amy Engel (left) prinicipal of HD Jacobs High School greets the graduates as the walk across the stage to receive their diplomas, May 18, 2013. | Joe Cyganowski-For Shaw Media.